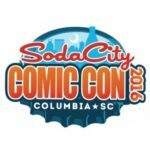 Soda City Comic Con needs an army of volunteers to help manage the hot mess that is Soda City Comic Con! COR members who sign up to volunteer at the 2016 Soda City Comic Con can receive a free pass to this year’s convention. Volunteers must be over the age of 21 and able to volunteer for at least one 4-hour shift.